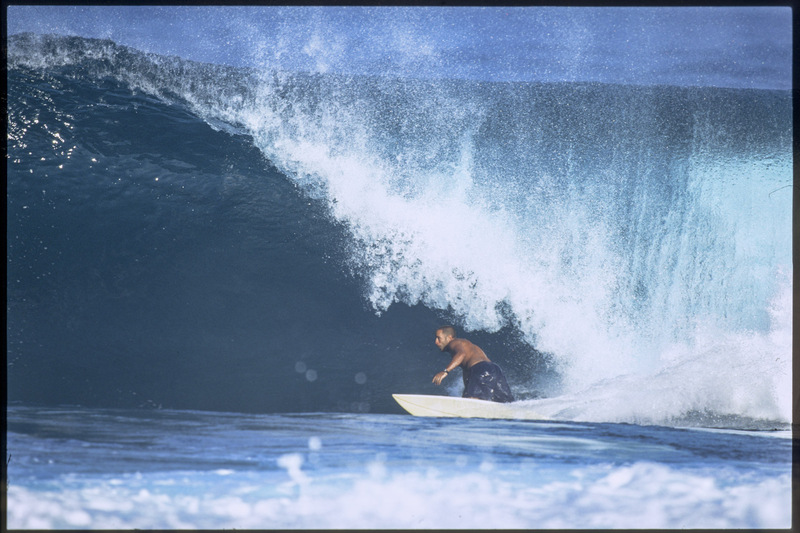 A young Jack Johnson laying down a heavy turn at Backdoor Pipeline. These days you still see him on his surfboard as much as you see him hodling a quitar. If he's home when the swell is right he'll be out in the water.